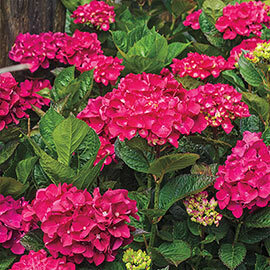 Glowing Embers is a fast-growing shrub that will reach 36-72 inches in height. It blossoms in late summer with lovely, deep red to dark pink mophead flowers that grow in against glossy green foliage that remains attractive all season. Birds will visit Glowing Embers in your garden, and its blooms are great for cut-flower bouquets or dried arrangements. 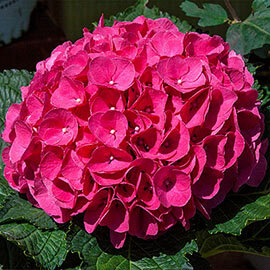 Flower Form: Immense flowerheads (8 inches or more across). Pruning: To shape and for aesthetics after flowering.